Examples abound, from Rutgers women’s studies professor Jasbir Puar, who published an anti-Semitic blood libel as scholarship (and received an award from a professional organization for her calumnies), to University of Michigan American Studies professor John Cheney-Lippold, who refused to write a letter of recommendation for a student who wanted to study in Israel. Academics opposed to Israel demand not only a monopoly on the university but impunity from criticism. After the Cheney-Lippold affair, a variety of academic BDS supporters came out in his defense and decrying the University of Michigan’s tepid response. So did several academic organizations, including the American Association of University Professors and the Middle East Studies Association, along with BDS groups such as Jewish Voice for Peace and local Arab American representatives. 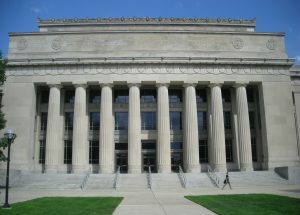 Michigan’s Center for Middle Eastern and North African Studies even held a BDS event, including a “teach-in,” with support from a host of other departments. BDS cuts to the heart of what universities are supposed to be. Is a university an impartial platform at which students can receive an education as well as support to go on with their lives and careers wherever they choose, or is it a political platform shaped exclusively by the views of an angry minority of Israel-hating faculty? Academics who support BDS demand that their politics directly shape the world and the lives of their students while eschewing all responsibility and even criticism. John K. Wilson, the co-editor of the AAUP’s blog, “Academe,” told Insider Higher Ed that “it is morally wrong for professors to impose their political views on student letters of recommendation,” but still argues that the professor should not be punished. There are almost no consequences, except writ large, when institutions like Evergreen State or the University of Missouri, which experienced similar unhinged anger from faculty and students over racial issues, found their enrollments plummeting and state legislators questioning the wisdom of supporting their bitter politics. Since 9/11, we have seen a significant growth in pro-Israel student empowerment through national and grassroots organizations, but this has not been enough to create long-term change. In fact, it appears that student BDS activists are increasingly successful at creating an environment in which Israelis, supporters of Israel, and even Jews at large can be ostracized and even directly threatened or harassed. University administrations, anxious to maintain quiet and keep enrollments high, have almost uniformly swept incidents under the rug. The pyrotechnics of demonstrations and “apartheid walls” speak to the spirit of intolerance that reigns on campuses in the name of “social justice.” The letter of recommendation incident demonstrates that some faculty members are ready to punish students who step out of line. Is there any doubt that the same spirit of hatred prevails inside classrooms?